WOW Lowest priced beach cottage in Indian Rocks Beach. Under $300K. If you are looking for a great get away home close to the beaches with all that Indian Rocks Beach has to offer, this is your chance! Cute nice and bright 2 Bedroom 1 bath beach cottage with recently install mini split air conditioning system. Lots of character, newly painted interior and exterior, exposed beam ceilings in the main living area with wood burning fireplace. 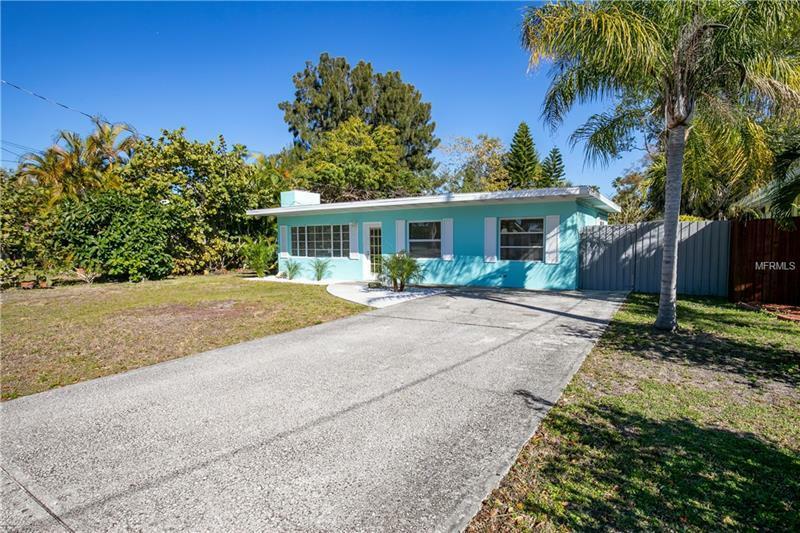 HUGE over sized back yard allowing plenty of space for a pool and best of all youâre an easy walk to the sugary white sands of Indian Rocks Beach.